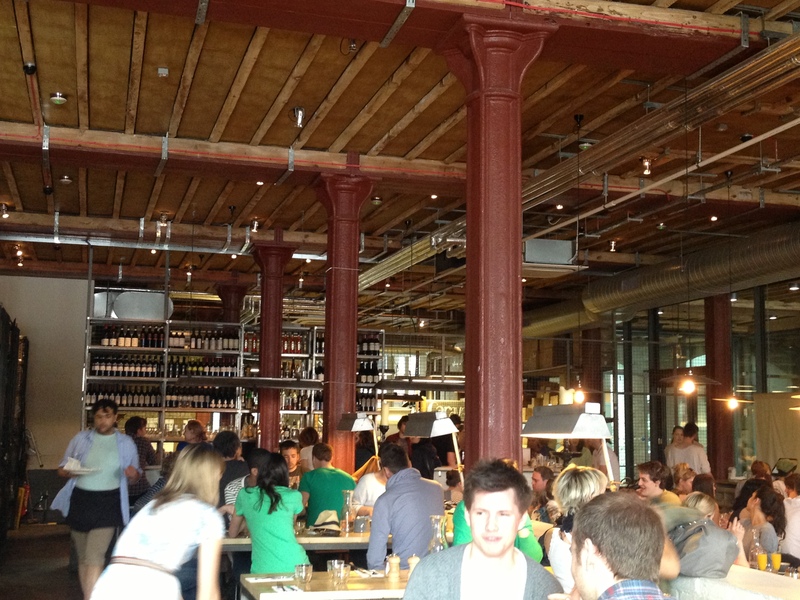 This weekend I was lucky enough to have brunch at Caravan, an eatery in an old granary building near Kings Cross. The website proclaims it serves ‘well travelled food and mighty fine coffee’ and this accurately sums up whats on offer. 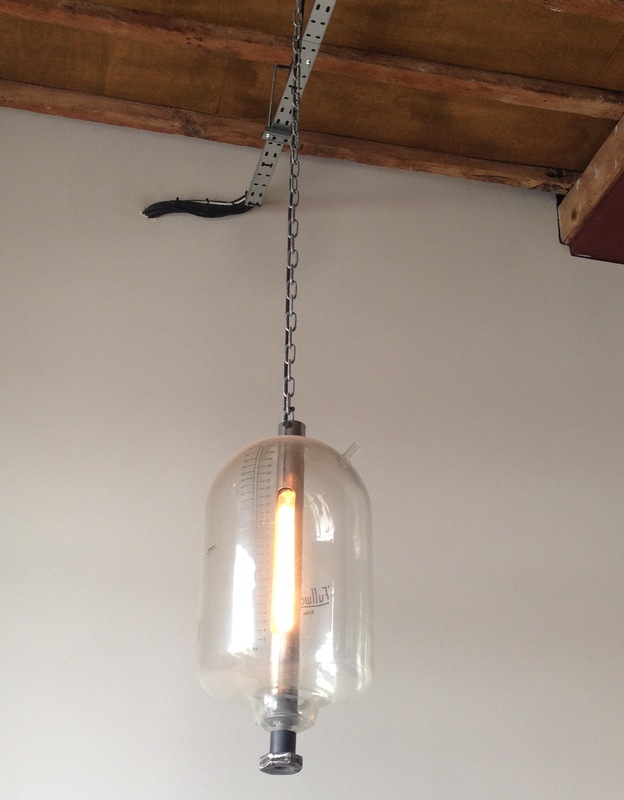 The venue keeps its industrial heritage alive with long wooden benches and lots of exposed metal, the open kitchen is even enclosed by a wire cage. An arty crowd is entairtained by a soundtrack of reggae, soul and jazz. The menu featured many exciting flavours, and as I was dining with friends I was able to sample a range of these. 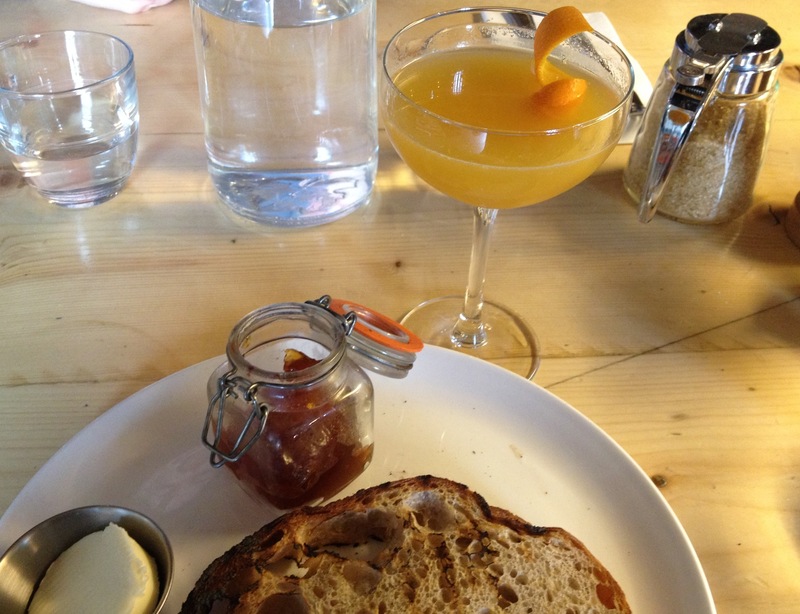 First up was a delicious breakfast martini served with sourdough toast and marmalade. Having read a few books set in Southern America I was keen to see what ‘grits’ were all about. 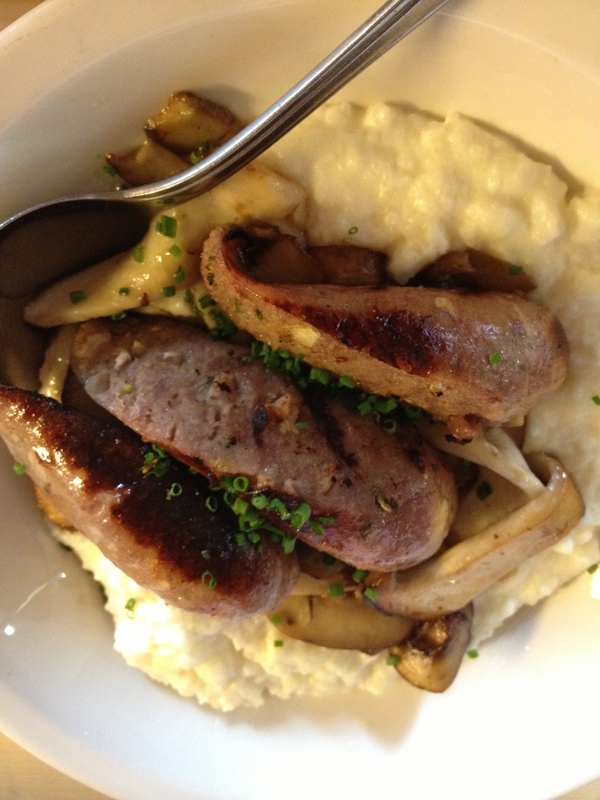 A type of maize porridge, this version was made with parmesan and served with boar sausage and wild mushrooms. 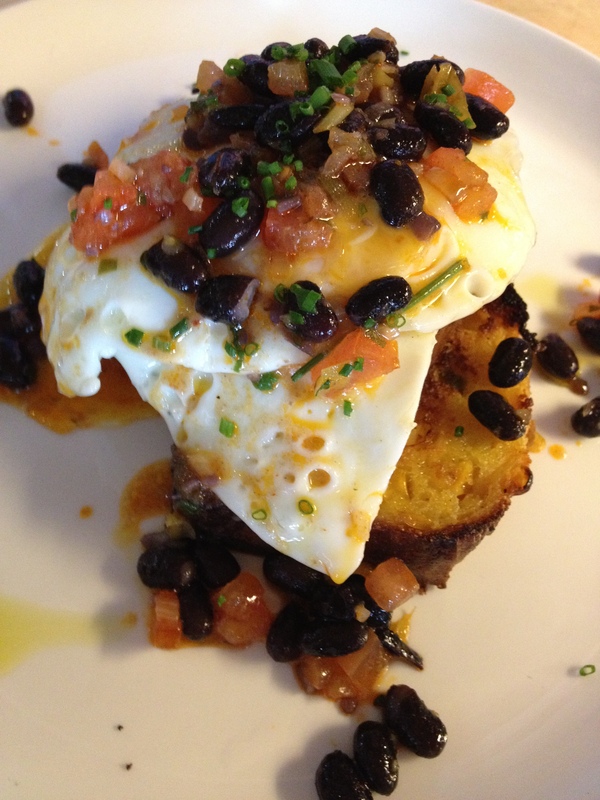 Next was Mexican inspired jalapeno cornbread with fried eggs, black beans and guindilla pepper. This was so tasty it might even temp me to go veggie! 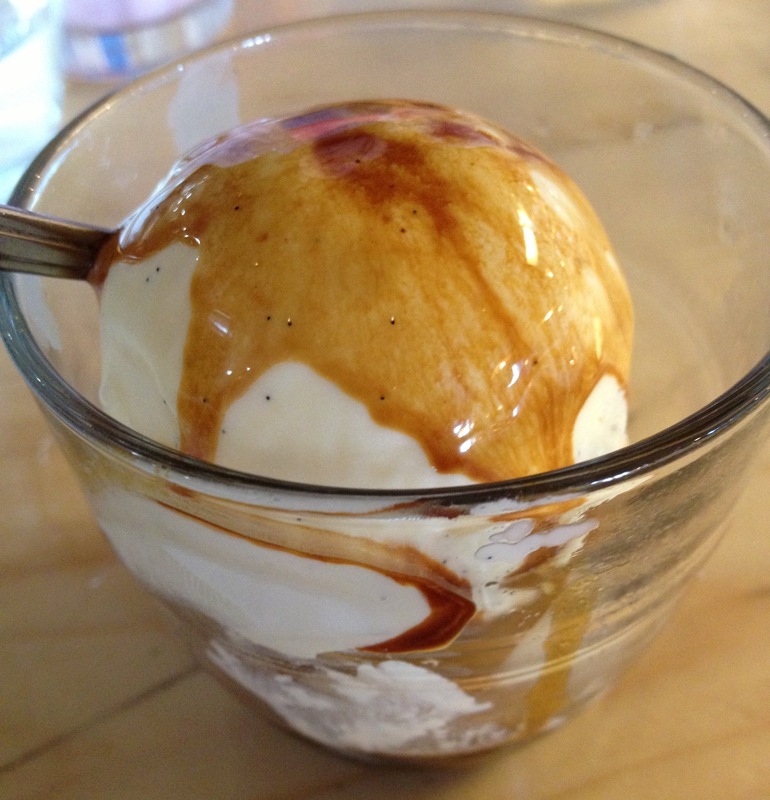 For something sweet I had the affogato, real vanilla ice-cream served with an espresso shot, which the waitress poured from the cutest tiny chemistry bottle. This is something you could easily recreate at home for a perfect ending to an Italian meal. The menu also featured dishes inspired by the Middle East and Europe along with lots of fresh juices and ethically sourced coffees. For a casual brunch in London I’m not sure you could do better.